Our hope is that everyone at Immerse experiences God in a deeper way! 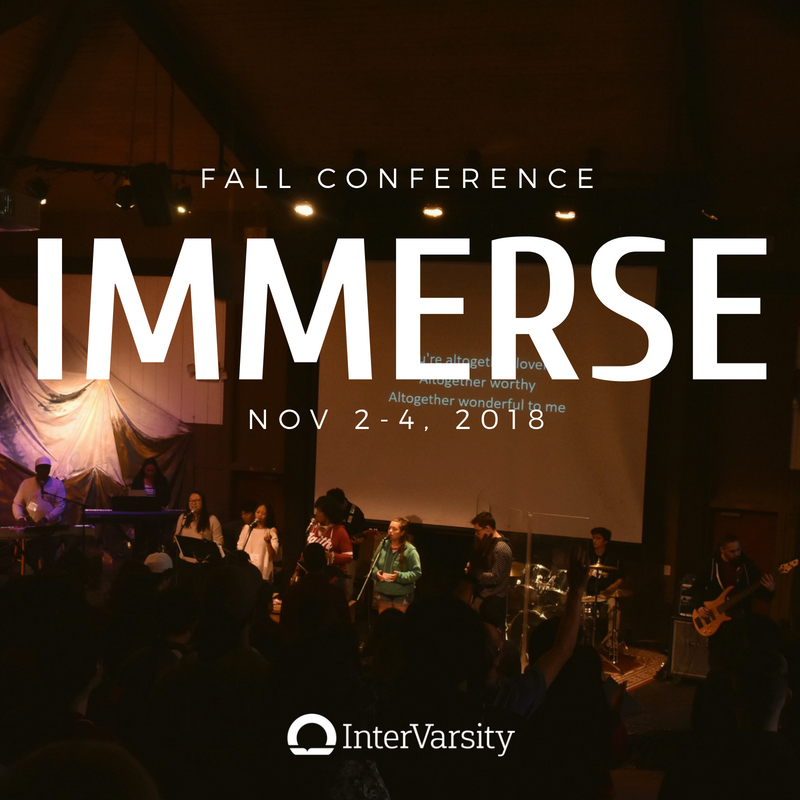 Whether you are exploring spiritual questions for the first time or wanting to grow even deeper in your relationship with Jesus, we hope you'll join us at Immerse! Over the weekend, we'll hear from a speaker, spend time in Small Groups, play games, pray, sing, share stories, have a dance party, eat s'mores, and have free time for rest, reflection, and fun with friends new & old! Join students from InterVarsity chapters around the area, including Stanford, UCSC, DVC, De Anza, CSM, Cañada, Foothill, West Valley, Cabrillo, Evergreen, Saint Mary's, Ohlone, MPC, Hartnell, CSUMB, CSUEB, SJSU, Skyline, and Santa Clara!